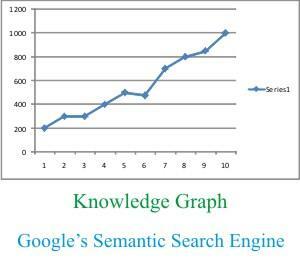 In my earlier posts related to Google Search, I stressed upon various theories and components of Google's Semantic search engine technology including Semantic Search, Google instant, Knowledge Graph and Artificial Intelligence. But this time, being somewhat practical I am intended to share some information pertaining to implementation of Google's Semantic search with you. Google search is adding Filter Result Windows to help out user find intended results through involving him too in search process. As soon as a user will complete typing a meaningful word, on right side to the result, a new window will appear with a number of entity images, literally asking him which entity does he meant. With clicking any one of displayed entities he can filter his result more deeply. The Google results are being designed in such a manner that the skeleton of knowledge will allow you to explore information on the web. The Knowledge graph implements the theory of "more you dig into things, the more you learn about". The Knowledge graph results are designed to help users to dig deeply into the hierarchy of related topics. For instance, if you start from by searching for a techno-gadget and you find smartphone as one of the "things" that relates to the tech-gadgets and end up digging in on details about that smartphone and many other similar handsets, you are interested in. As per Ben Google's Gomes, "Google is essentially switching from strings to things". A giant Knowledge graph with over 500 million entities including people, things and places with at least 3.5 billion attributes has been constructed to implement Semantic search. The use of Artificial Intelligence to sense relation between these entities and making appropriate decision makes Google search really smart. For this purpose, a variety of knowledge graph databases like Wikipedia, Google Maps, Google Local, Google Shopping and Freebase are being tapped by Google. According to Google, "The Search users will see these new knowledge graph results at least as often as they see Google Maps in results. In fact, this update will have a greater initial impact than the updates that brought Google Images, videos, news and books, combined. It's big and it's probably going to be everywhere." As I had already outlined in my earlier articles that Google is switching from simple keywords recognition to the identification of entities, nodes and relationships, for achieving this task the knowledge graph repository is surfacing summaries for things. For instance, a search for Einstein will return his brief summary, photos of Einstein, his related things, theories, experiments and inventions. As per Gomes from Google, "the results are tailored to deliver information that best relates to the initial search result. So the details delivered about a female astronaut will likely outline her space travel record, because that's what people who search for her are, according to Google, most interested in." As specified above - Google tapped a variety of databases, but do all information in a database always correct? No, the possibility of a potential error is always there. An error can be generated any time either while gathering information or while feeding to database. To overcome such problem, Knowledge graph includes a special error reporting system. So, when the users will find any misinformation, Google will share it with its source and the knowledge graph will get just little bit smarter. Google is working on a huge project of Semantic web technology, covering entities all around the world as much as possible, using Knowledge graph. Google wants to ensure providing surfer's intended search results precisely and instantly. Though Bing is the chief search competitor of Google and also has millions of entities but instead of targeting for a purely semantic model of search results, Bing is focusing on smaller set of segments, in part, that users usually search on (movies, clubs, markets, restaurant, hotels etc.) and trying to find out relevant information regarding those segments. Google's Search is getting smarter enough to answer user's complex questions. Users will find right answer just a click away for their input query. Future Semantic Search Technology encompasses Knowledge Graph that will roll out across all Google search tools. A vast portion of Google Search will work with you to intuit what you really meant by that search query. As per my opinion, "Knowledge Graph is a huge, well organized structure of hierarchically arranged, large set of related databases, having millions of entities inter-related together through their attributes." Google team wants to leave no-stone-unturned to carry world-wide information to users at a single platform and succeeded undoubtedly, up to an extent.